January 14th, 2014 was officially named Indiana Emergency Medicine Day in honor of the men and women who are committed to providing 24/7/365 care for the state. This was announced at the annual INACEP and IUEM Legislative Assembly Day. Residents, faculty and community physicians congregated at the State House to present key issues to local state leaders. It was overwhelmingly successful with eight legislators present and active discussion between the politicians and physicians. 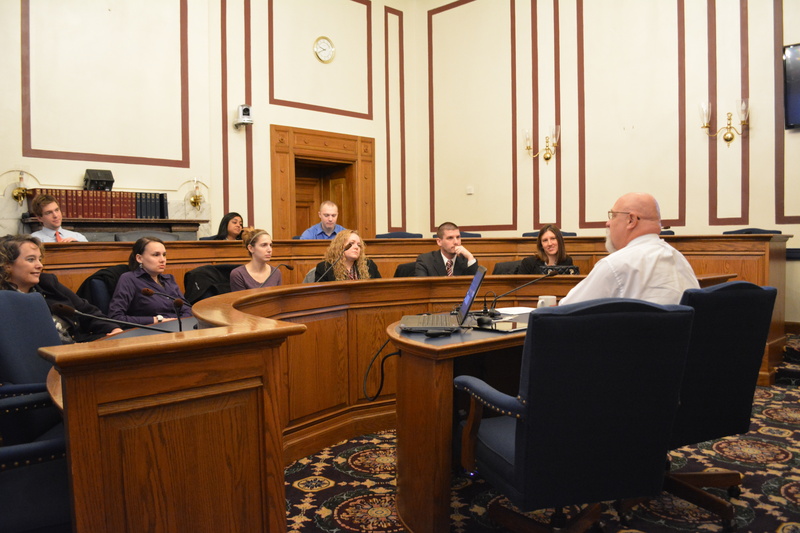 State Representative, Dr. Tim Brown, provided the residents an inside look into life in the State House and the feasibility of a career in medicine as well as politics. This was followed by presentations by doctors Sarah Hemming-Meyer, Kyle Yoder, Emily McIsaac and Emily Fitz on mental health, opioids, the value of emergency medicine and the Lifeline Law. The legislators were very receptive to the requests by the residents and asked for their experience to help improve legislation specifically in mental health and opioid abuse. IUEM would like to thank all the residents and faculty who attended. A special thank you to Dr. Lindsey Weaver who organized the day and mentored the residents on their presentations. 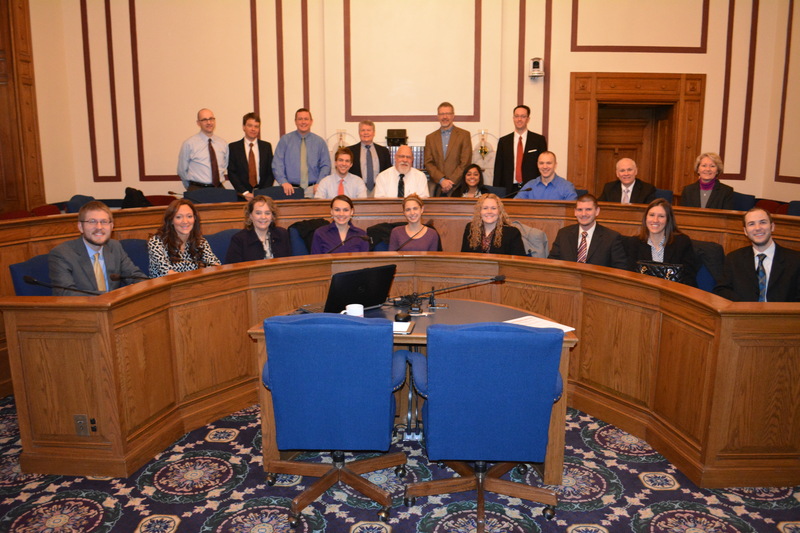 This is a five-year IUEM tradition that not only makes a huge impact for our patients on the state level, but also provides exposure for residents to healthcare politics and leadership opportunities. This entry was tagged IUEM Legislative Assembly Day. Bookmark the permalink.